The series of courses offered through (H)ACER provides unique research experience for students. In the 2018-2019 academic year, students will participate in an ethnographic research project that examines how UC Santa Cruz students, staff and faculty theorize sustainability and belonging. The courses are organized to be taken sequentially and it is optimal to take them in your third year. Course description: This course introduces students to the historical and theoretical foundations of qualitative research methods. 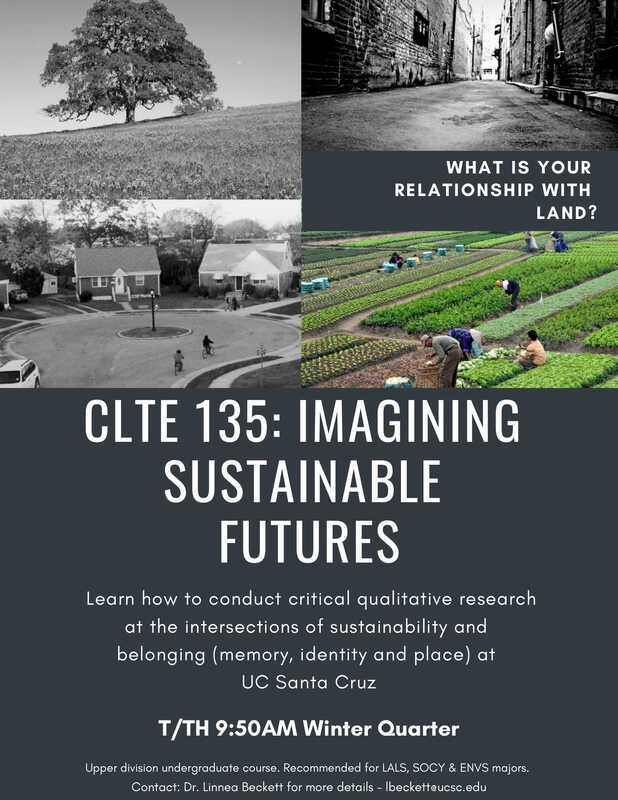 Students receive hands-on research training, consider the complexities of community-engaged research methodologies and investigate relationships between settler colonialism and present institutional arrangements in Santa Cruz County. Course facilitates critical analysis of cultural and political institutions that shape identity-related struggles including LGBTQ+ issues, religious freedom, class inequality, and race and ethnicity. Uses an interdisciplinary approach to focus on analysis and activism, culminating in a class project to disseminate knowledge and promote activism. Contact instructor for permission code and more information on enrollment and class details. Course description: This course provides an in-depth exploration of the topics introduced in CLTE 135. Students receive hands-on research training and continue to grapple with the complexities of community-engaged research methodologies. Students will learn about the historical tensions and struggles of research as a form of knowledge production and consider how research may support more just futures.